Peace is like an egg. It is delicate and fragile, but in the right conditions, it gives life. Those are the wise words of the late Deka Ibrahim, who resolved clan conflicts in Wajir County in the early 90’s, and later became instrumental in the peace processes in North Eastern Kenya. She was my role model when I decided to start working for peace. I developed a passion for peacebuilding coming from a predominantly Somali pastoralist community in North Eastern Kenya. The region experiences intractable violent conflicts within and between different clans and exacerbated by historical marginalisation, insecurity and violent extremism. The need for peace building was dire, and my experience is that women have a lot to contribute in peace processes. However, in pastoralist communities, women are often excluded from them. Despite my background, engagement and education, it has never been easy for me to build trust within the communities I worked in. Early in my career, I supported a local organization in a peace dialogue, but the clan and religious leaders did not accept me because I was a young single woman. That does not make sense. Women are a part of the conflict, just like men. In Kenya’s pastoralist areas, women contribute to promoting a culture of violence with the use of proverbs, poems and songs. I currently work for FCA along the Kerio Valley, amongst the Pokot and Marakwet ethnic groups, where women sing and dance for young men after they return from cattle raiding. I also vividly remember how women from one clan burned a dead body in Garissa town during a clan conflict. They were carrying machetes on the streets. It was shocking to see women at the forefront of violent clan conflict. Through my years in this field, I have realized that involving women in peacebuilding requires a deep understanding of the cultural and religious context, and working closely with these communities to identify culturally suitable strategies to bring women on board. With FCA, we have designed talking circles involving local women from the Pokot and Marakwet. Traditional mechanisms of conflict resolutions among communities are often most effective for building peace. Women have the power to prevent violent conflict for instance with the Leketio, a belt made of cowrie shells worn by women. The belt signifies fertility and motherhood. When a woman removes the belt during violent conflict, the youth from both ethnic groups immediately stop fighting. This shows the immense role women can play in peacebuilding. I try to oppose the resistance to involving women in peace processes by building trust and using strategies acceptable to the communities. I work closely with community leaders, as they are connectors to the society. Deka Ibrahim was a mentor, who inspired me, and I hope in turn to inspire young women at the grassroots level to work for peace. This does not necessarily mean women need to get a seat in the council of elders. I believe there are vast opportunities for women to engage and claim their role in peace building at the local level. This in itself is a gradual process that we should be willing to take. The writer works for FCA Kenia office as a coordinator for peace work. 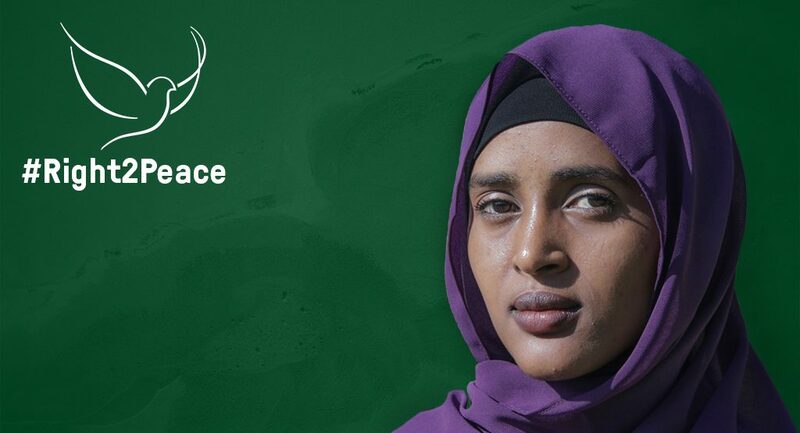 Learn more about FCA’s peace work here.